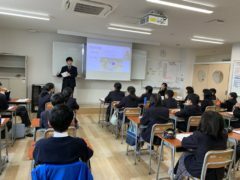 On February 4th, two third-grade students from Chuo High School joined our junior high school classes. 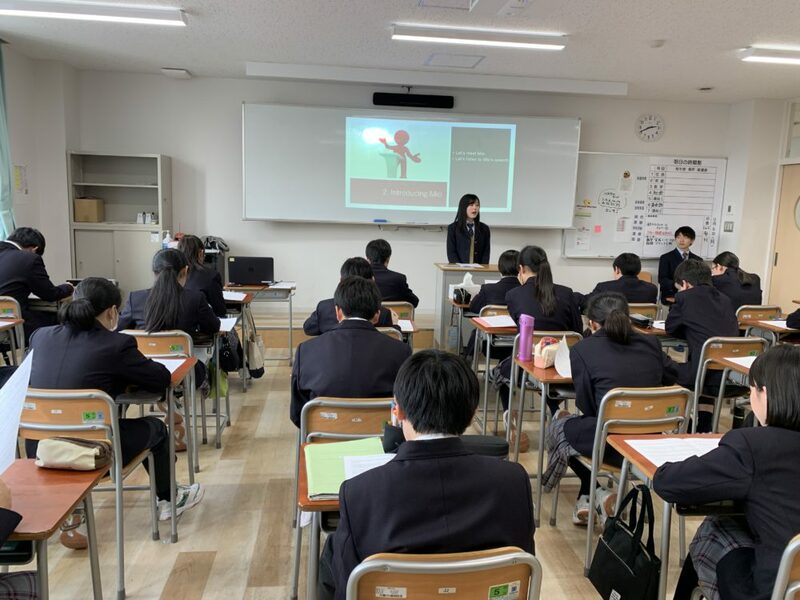 Mio gave her award-winning speech, “Actions are Powerful Tools for our Communication.” This was a great chance for students to hear a speech with good eye contact, pronunciation and other presentation skills. Hopefully some of our students will be inspired to join a speech contest and give presentations in the future. Takuya gave a presentation about his experiences studying abroad in Australia. 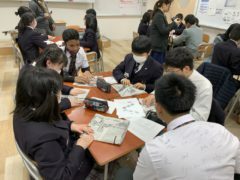 Students could learn about how to make friends in a foreign country and make the most out of studying abroad. We hope that some of our students will be motivated to study abroad or join school trips overseas, too. A group of eleven students from Indonesia visited our school on February 7th. 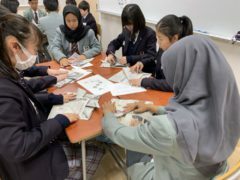 The students were able to experience Japanese culture with our junior high school students by doing self-introductions in Japanese, singing a Japanese song, and doing origami. 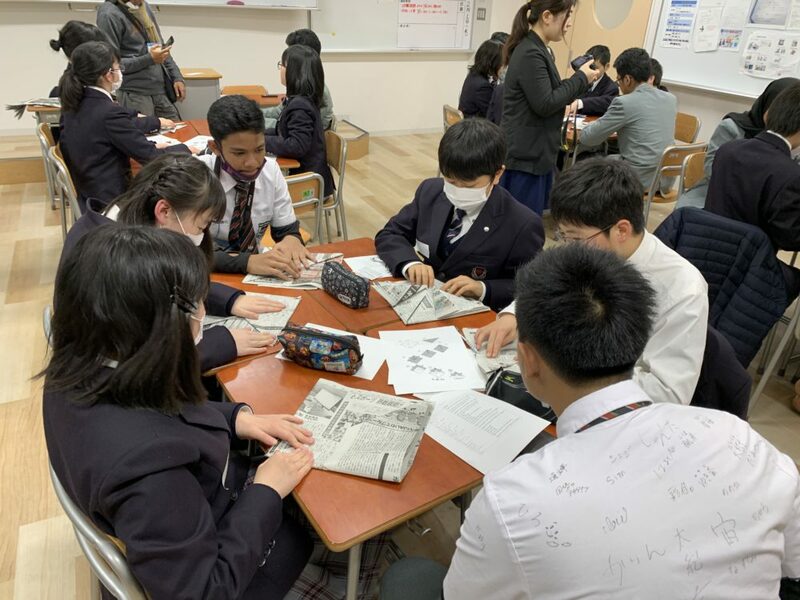 Junior high school students were also able to enjoy international exchange, explaining how to do origami and doing a “question-and-answer” activity about each other’s cultures, using both English and Japanese. 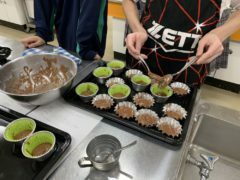 Once or twice a term, we enjoy cooking in our after-school English club. This month’s theme was “Valentine’s” and we decided to make chocolate cupcakes. 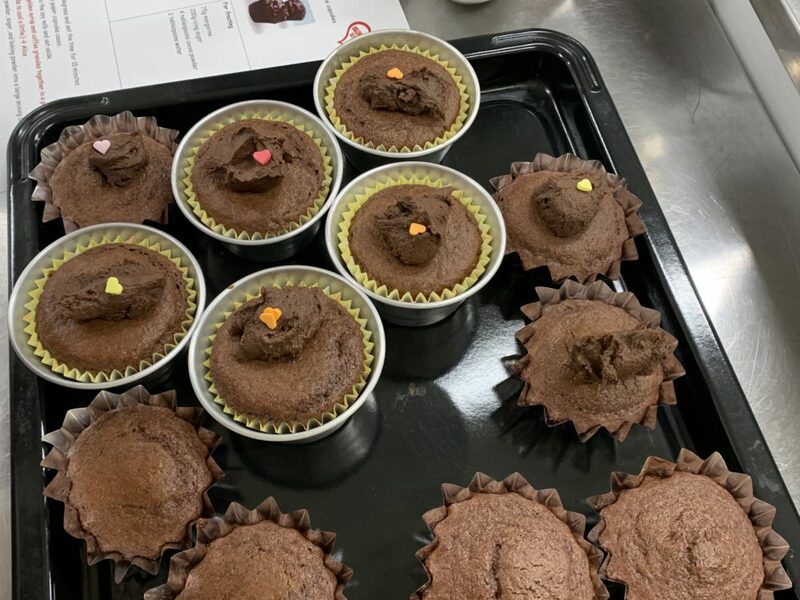 This time, we chose a “vegan” recipe, so the cakes contained no egg, milk, or butter. The cakes looked great and tasted delicious! Well done to English club members! Let’s learn some phrases for giving and receiving presents on Valentine’s Day. A: Happy Valentine’s Day. This is (a present) for you! I hope you like it. B: For me? You shouldn’t have. A: Please, open it! It’s just a little thing. B: Okay. Wow! A necklace! It’s beautiful. Thank you so much! A: You’re welcome. I’m glad you like it.